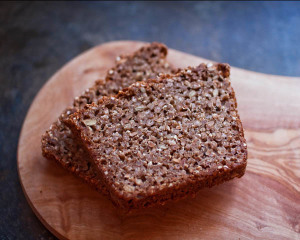 I’ve baked my first Danish Rugbrød! 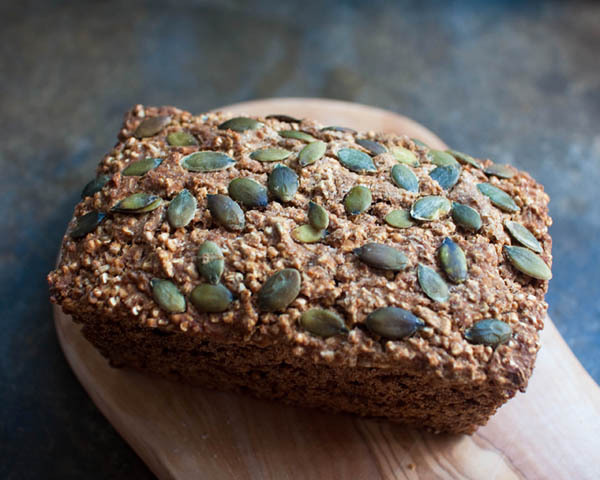 Rugbrød is pronounced something along the lines of “roobroll” and it’s a Danish rye bread made with a sourdough base, rye flour, whole rye grains, honey, salt, and the baker’s choice of seeds like pumpkin, sunflower, and flax. I had to proof it overnight, then it went through a three stage baking process. It’s very heavy. One loaf weighed 2 lbs., 8.4 oz.!!! I’m not going to post the recipe because you can’t make this without the starter. Mine is made from a starter that’s been going for about 30 years! I shared some with a few Danes for validation and they declared it a success! The Danish government should consider accepting a batch of rugbrød in lieu of the language or community service requirements for permanent residency. Hell, I’d even consider eating a pickled herring with it! It sounds like a whole meal in itself, rather than a starchy food, like regular bread. I love rye!! Oh, how I miss it. I bake my own but never rugbrod. I need to search for a recipe … thanks for the memories. Lisa: Indeed, it’s a great breakfast! It’s also good toasted with goat cheese, honey and some walnuts. Nicely done, Sage! The slices look delicious!